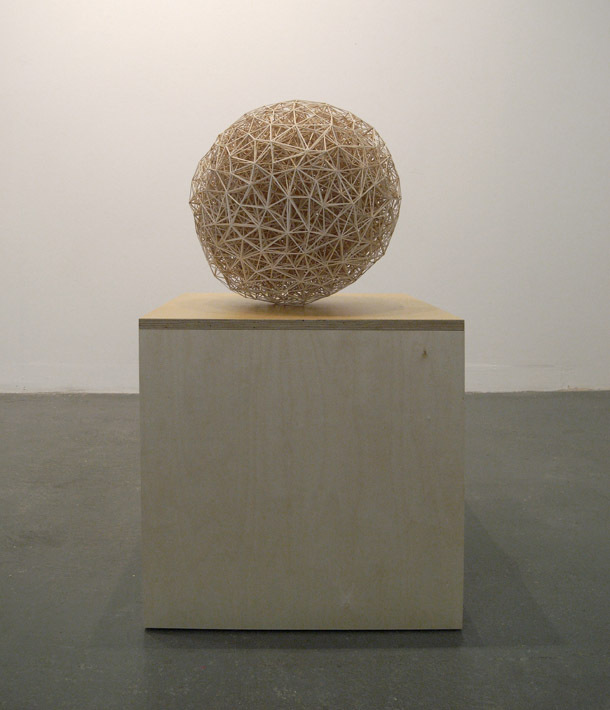 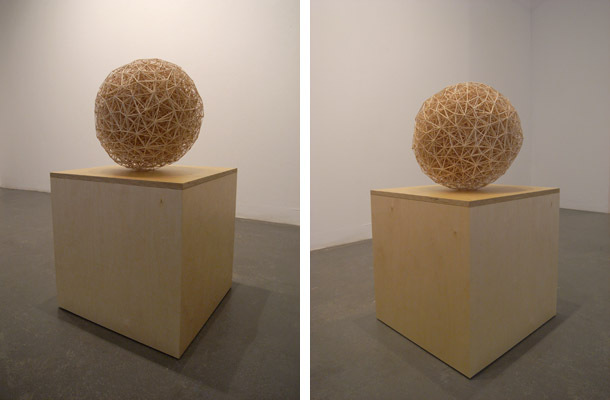 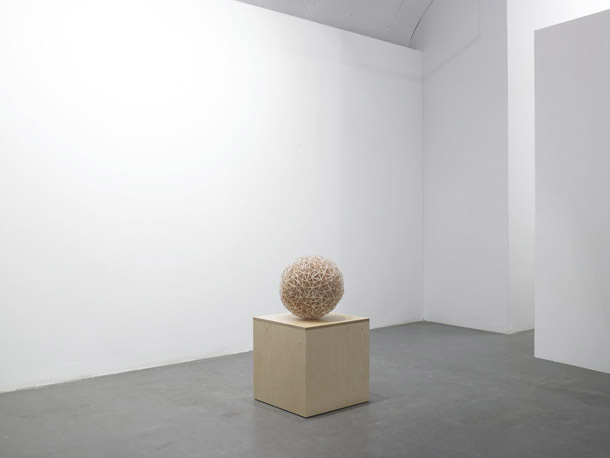 Sphere constitutes at the same time both as a simple and complex sculptural object. 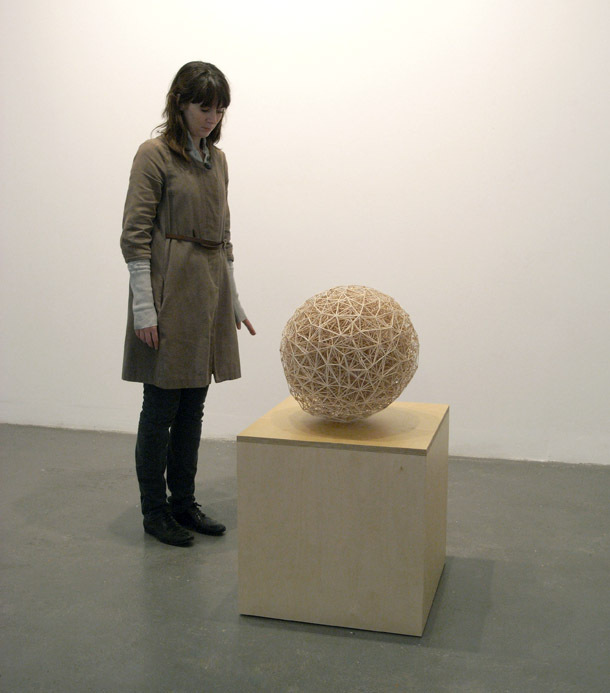 By the use of approx. 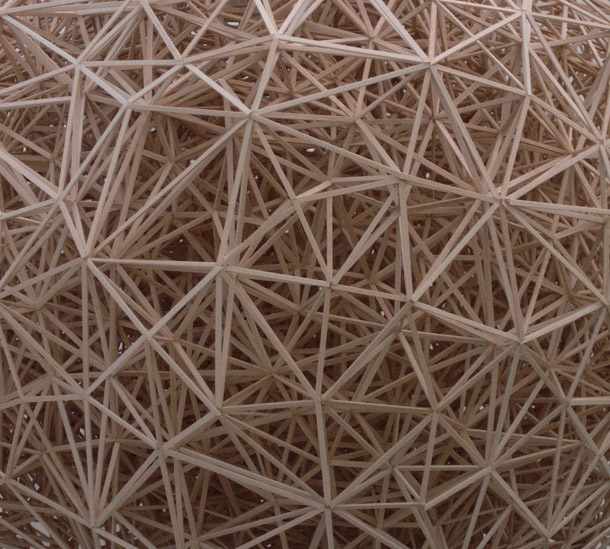 1000 meter tiny strips of wood joined in a triadic system the work appear as a dense spheral object. 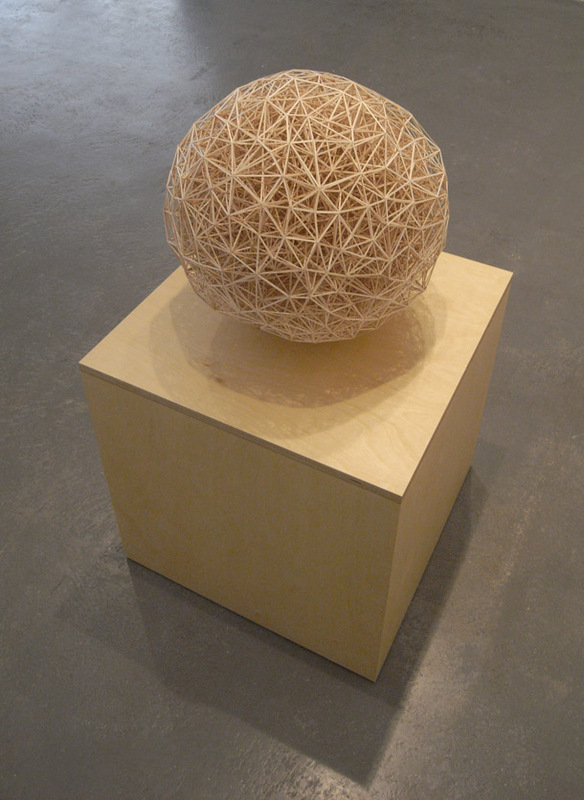 According to the subjects physical distance to the object, Sphere becomes subject matter of how the human eye perceive space and objects.